True-life stories of the famous and infamous continue to win commissions in Australia – but for how long? DQ investigates. Australian TV dramas inspired by real people, living and dead, have been consistently popular with audiences over the past four or five years – but is that boom about to bust? Although four biographically based miniseries are in the can or due to go into production this year, and another has already gone to air, some producers and broadcasters believe the cycle is exhausting itself. Others still see plenty of potential for the genre. 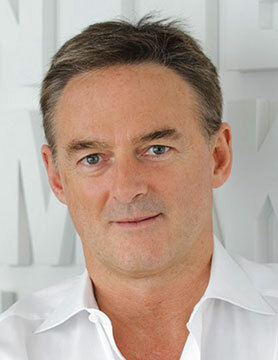 “The biopic genre is tired and the subject matter is running thin,” says Endemol Shine Australia (ESA) CEO Mark Fennessy, whose firm produced the top-rating minis Never Tear Us Apart: The Untold Story of INXS, Catching Milat and Peter Allen: Not the Boy Next Door for the Seven Network and Brock for Network Ten. CJZ MD Nick Murray contends shows such as House of Bond go much further than linear biopics. “It’s the rise and fall of the house of Bond – the influence of both wives, the business advisors and Bond’s ability to talk or con people and banks into doing what he wanted. What on earth motivated them all?” he says. 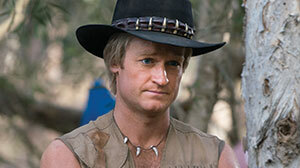 Porter oversaw the production of Hoges (pictured top), the saga of Paul Hogan, the former Sydney Harbour Bridge worker who found fame and fortune as the host of his own TV show and as the creator and star of the Crocodile Dundee movies. The two-parter, which featured Josh Lawson as Hogan, Ryan Corr as his manager/on-air sidekick John ‘Strop’ Cornell and Justine Clarke as Noelene Hogan, screened on Seven in February, winning its 21.00 and 20.30 timeslots, each drawing a consolidated audience of 1.5 million – but the broadcaster was hoping for more. “I don’t put the numbers in the fail category, more the underwhelming category. You can’t win them all,” says Angus Ross, Seven’s director of network programming. Perhaps reflecting a limited pool of subjects, Nine originally intended to commission minis on Hogan (from ESA) and Olivia Newton-John (Screentime), but Seven got in first on both occasions. Seven’s Newton-John drama is produced by FMA and directed by Shawn Seet. It stars Delta Goodrem as the actor and singer who blazed a trail in Hollywood as the star of Grease and Xanadu, recording five number-one hits and winning four Grammy Awards. “We are delighted with the strength of Shawn Seet’s creative vision and realisation of this story. It’s fantastic to celebrate a female Australian legend,” says Porter. Seven has also commissioned Banijay-owned Screentime to produce Warnie, which will explore the paradox of former champion cricketer Shane Warne, widely regarded as the most admired, criticised and publicised Australian sportsman of the modern era. 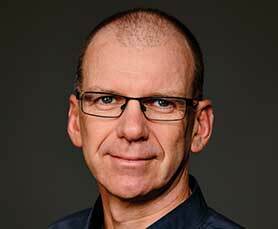 Matt Ford (creator of Playmaker Media’s ABC drama Hiding) is writing the scripts and Kerrie Mainwaring will produce with investment from Screen Australia and Film Victoria. “Warnie’s story is not only the story of one of the world’s greatest cricketers but his off-field antics have kept tabloids in business for years. He is so compelling on and off the field, you can’t look away,” Ross says. In a similar vein, true-crime dramas have long been reliable ratings performers, most notably Screentime’s Underbelly franchise, which started on Nine in 2008. The latest iteration, Underbelly Files: Chopper, will tell the story of Mark ‘Chopper’ Read, one of Australia’s most notorious gangsters. Read, whose exploits were dramatised in the 2000 Australian movie Chopper, starring Eric Bana, died from liver cancer in 2013, aged 58. 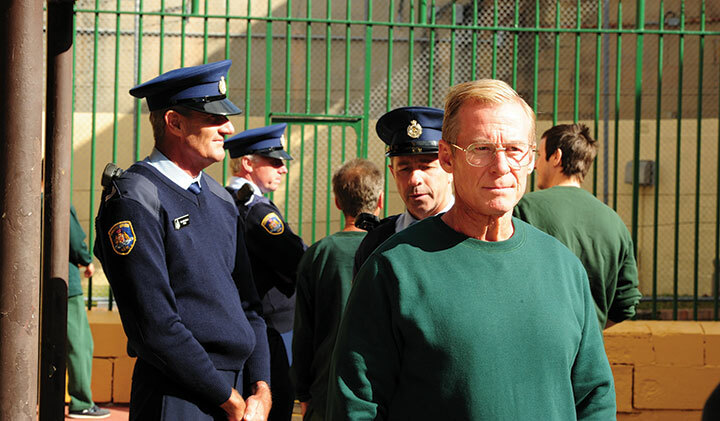 ESA, meanwhile, has produced Blue Murder: Killer Cop, which stars Richard Roxburgh as notorious former detective Roger Rogerson, now serving a life sentence for the murder of a drug dealer. A sequel to Blue Murder, which aired on the ABC in 1995, it will premiere on Seven this autumn. 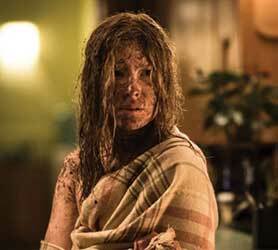 Toni Collette, Matt Nable, Dan Wyllie, Emma Booth, Justin Smith, Damian Walshe-Howling, Steve Le Marquand, Aaron Pedersen and Aaron Jeffery co-star in the show. It has been directed by Michael Jenkins and executive produced by John Edwards, who collaborated on the original series. 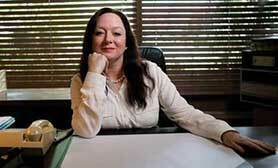 Opinions are divided over whether producers need the co-operation of their subjects – an issue that flared when billionaire Gina Rinehart sued Nine and CJZ, claiming the 2015 drama House of Hancock defamed her. The programme focused on the feud between the late Lang Hancock (played by Sam Neill), his wife Rose Lacson (Peta Sergeant) and his daughter Gina (Mandy McElhinney). The case was settled out of court in February, with Nine agreeing not to rebroadcast or stream the show and the broadcaster and producers publicly apologising to Rinehart and her family for any hurt or offence caused by the broadcast and its promotion. Newton-John was supportive of FMA’s mini, while Hoges’ producers obtained permission from Hogan and Cornell to recreate scenes from their TV shows and films. Both savvy businessmen, they own all rights to their content. While subjects who are internationally known are an advantage for producers in securing international distribution, this isn’t critical to the funding process. According to Ross, having a name who can help offshore sales is a bonus but that does not make or break the viability of a project, based on the current funding model. However, Endemol Shine International CEO Cathy Payne notes that bios’ international potential hinges on their relevance to international audiences. Crime sagas such as Catching Milat often travel more successfully than generic stories, she says, while Peter Allen: Not the Boy Next Door struggled because Allen is not widely known outside Australia, despite his 1981 Academy Award for the theme song to the movie Arthur, his brief marriage to Liza Minnelli and the Broadway hit The Boy from Oz, which starred Hugh Jackman. While biopics have the potential to be big hits at home and abroad, finding a star name or story worthy of the television treatment is the key to success – but the reliance on public awareness or curiosity over the topic may also prove to be the limitation for the genre. Each year, Screen Australia releases a detailed report that analyses feature film and TV production levels in Australia. Entitled Drama Report, the 2014/15 edition came out last week. When all elements are combined, the market is in pretty good shape. Total expenditure for the year in question was A$837m (US$597m), down just 1% on the previous year’s record high, and there is a positive trend in terms of inward investment. All told, 16 foreign projects came to the country in 2014/15, generating a record expenditure of A$418m. These included the latest Pirates of the Caribbean movie, underlining the fact that the country can be relied on to deliver superb quality. But the situation in domestically produced TV drama isn’t looking so good. According to Screen Australia, total spend on TV drama in 2014/15 was down 13% year-on-year to A$299m. And the situation is worse if you strip out children’s drama, which actually saw an increase last year. Looking specifically at adult drama titles, the decline is 19% – from A$291m to A$235m. Onscreen, this translated into 34 adult titles and 401 hours of production, compared with 40 titles and 472 hours last year and a 2012/13 peak of 40 titles and 502 hours. The figures are a reminder that the ‘golden age of drama’ doesn’t benefit everyone in the value chain equally. An additional problem for Australian TV producers is that the “cheap American imports” referred to by Mason actually rate pretty well down under. One of the key consequences of this is that domestic broadcasters tend to look abroad for longer-running series and ask the local production community to focus more on miniseries and shorter runs. There are exceptions, of course, such as long-running soaps Home & Away and Neighbours, but it’s notable that the most popular domestic dramas of the past year have been miniseries like Catching Milat, Peter Allen: Not the Boy Next Door, House of Hancock and The Secret River. Even Glitch, recently renewed by ABC, comes in batches of only six. All of the above are excellent shows that may earn their producers awards and acclaim, but it’s not easy to run a drama production business on the back of miniseries and serials. The extent of the problem for Aussie producers is further underlined when you look at how reliant domestic drama funding is on public sources. According to Screen Australia, a significant share of funding comes from public broadcaster ABC, Screen Australia itself, state agencies and a refundable tax rebate known as the Producer Offset. In other words, the health of the domestic drama business going forward will require continued goodwill from politicians. It’s not all doom and gloom, however. The fact that Australian writers and producers have the craft and creativity to make great drama is clearly a blessing. And there are new trends emerging that may support the sector. While the ABC, Seven and Ten Networks have been the biggest supporters of scripted production, public network SBS recently aired its first home-grown drama in two years (four-parter The Principal). Nine Network also used its Upfront presentation last week to say that it will be increasing its spend on local content significantly in the next three years. Having recently ended an output deal with Warner Bros, it has invested some of the freed-up money in titles like Hide & Seek, an espionage thriller from Matchbox Pictures, and House of Bond, a miniseries about the colourful entrepreneur Alan Bond. Produced by Paul Bennett (House of Hancock), House of Bond is exactly the kind of project that is likely to set Nine’s ratings alight (for a day or two). Not to be overlooked either is the contribution from foreign investors, which presumably includes international distributors looking to pick up global rights to shows. Although Screen Australia’s 2014/15 figure of A$54m was down on the previous year, it’s still a potent reminder that Aussie shows have the ability to work well in a number of foreign TV markets. Similarly, the state-supported body also picked out a trend towards international coproduction, with activity up “on last year and the five-year average.” While a lot of this is down to kids’ drama coproduction, Screen Australia said this was “the fourth consecutive year with at least one adult TV drama coproduction in the slate,” in this case Cleverman, a partnership between Goalpost Pictures in Australia and Pukeko Pictures in New Zealand. 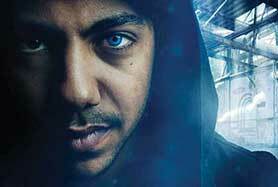 Cleverman, which will air on ABC in 2016, is an interesting project that was launched to the international market at Mipcom last month. A six-hour sci-fi genre series, it has been picked up in the US by Sundance TV and is being distributed worldwide by Red Arrow International. If it does well, it will provide the kind of creative and business model that may help Australian producers ease the financial pressures they currently face. In the meantime, what have Aussie viewers got to look forward to? Aside from shows like Cleverman, Hide & Seek and the next run of Glitch, Seven has just unveiled plans for Molly, Wanted and The Secret Daughter. The first two are miniseries, but the latter is a 10-parter from Screentime that will be distributed by Banijay International. 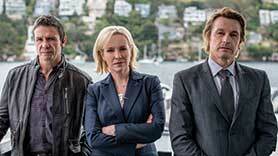 Also coming up is a new series of ABC thriller The Code, which did well at home and overseas. Ten has struggled with drama recently, with titles like Wonderland and Party Tricks failing to hold on to viewers (it announced on October 26 that Wonderland has been cancelled after three seasons). Perhaps that is why it has announced a sixth season of Offspring, its most popular drama in recent years. Offspring was rested for a year, with some fans fearing it might never come back. But with Ten anxious for a drama hit, reviving the show clearly makes sense. As yet it’s not clear what else Ten is planning in terms of drama. Australian viewers have embraced short-run dramas but are less receptive to new local series this year. 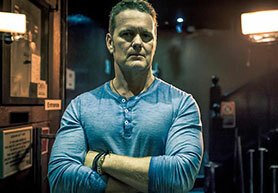 DQ investigates the drama landscape down under. In the increasingly competitive world of television drama, broadcasters and producers are working harder than ever to retain viewers over the course of a series. Nowhere is that more true than in Australia, where ratings have shown miniseries to be the most popular form of drama on air this year, to the cost of longer-running dramas. Audiences are also relating to homegrown stories, both across free-to-air channels and on pay TV. The top-rating Oz dramas in the first eight months of this year were both miniseries. Shine Australia’s Catching Milat, which follows the police hunt that led to the arrest of serial killer Ivan Milat, attracted an average national consolidated audience of 2.46 million on the Seven Network. Meanwhile, CJZ’s House of Hancock, starring Mandy McElhinney as Australia’s richest woman Gina Rinehart and Sam Neill as her husband Lang Hancock, averaged 2.17 million for Nine Network. Budget cuts imposed by the federal government have forced commissioning changes at public broadcaster ABC, which is continuing to back longer-running dramas, if only due to the cost of producing and promoting miniseries that may only be on air for two or three weeks. ABC commissioned several original dramas, including Matchbox Pictures’ six-hour series Glitch, a paranormal mystery about a small-town cop who discovers six naked people at a graveyard. Sony Pictures Television-owned prodco Playmaker Media’s eight-part Hiding, meanwhile, follows a Queensland family who are placed in witness protection. 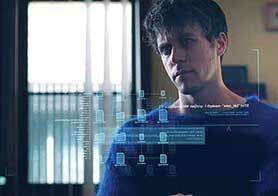 Although neither scored big overnight numbers, the consolidated figures including catch-up viewing were encouraging, particularly for Glitch, which was available on the ABC’s iview platform concurrent with the broadcast premiere. Elsewhere on the ABC, season three of December Media’s The Doctor Blake Mysteries, starring Craig McLachlan as a country doctor and police surgeon, achieved an average national consolidated audience of nearly 1.6 million. The third season of Every Cloud’s Miss Fisher’s Murder Mysteries, featuring Essie Davis as the glamorous 1920s private detective, averaged 1.4 million on the channel. And prodco Ruby Entertainment’s two-part The Secret River (main image), with Oliver Jackson-Cohen (Mr Selfridge) as an English convict who is transported to colonial New South Wales in 1805 and Sarah Snook as his free-settler wife, drew more than one million viewers on the ABC. “We have had to pull back on miniseries as they are very expensive and we can now only support the occasional mini or telemovie,” says ABC head of fiction Carole Sklan. The Nine Network enjoyed strong ratings with two Playmaker productions, including the second season of Love Child, set in 1970 at a Kings Cross home for unwed mothers and the adjacent maternity hospital. The fourth run of House Husbands, which stars Gary Sweet, Firass Dirani, Rhys Muldoon and Gyton Grantley as stay-at-home dads, launched in August, with the premiere attracting a consolidated average of 1.381 million viewers. 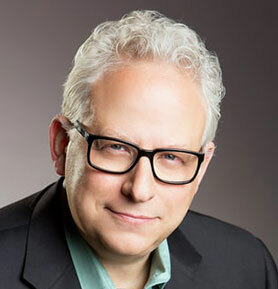 Nine co-head of drama Andy Ryan says: “Audiences have so much choice now that dramas have to work harder to capture and retain the public’s imagination. True stories have worked extremely well for all the networks, as have series like Love Child and House Husbands that tap into a broader social conversation. “There is a thirst for novelty in drama, but the ratings prove there is also a big audience for stories that reflect and explore Australian life. It’s crucial that dramas start strongly and boldly. It will always be a challenge to sustain this intensity over a long-running series, but shows like House Husbands prove it is possible. Love Child’s second run averaged 1.6 million viewers per episode, with the overnight national audience of 1.228 million accounting for 76% of viewing and the remainder coming from time-shifted, encore and longform video viewing. Its third season recently wrapped. 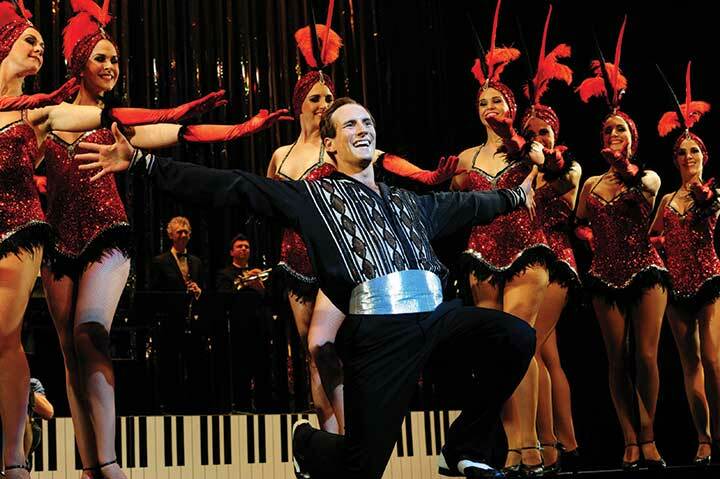 At Network Ten, romantic comedy-drama Wonderland drew an average capital-city consolidated audience of 537,000. Due to premiere on Ten later this year is FremantleMedia’s telemovie Mary: The Making of a Princess. The show chronicles the real-life fairytale romance of a Sydney real-estate agent and Crown Prince Frederik Andre Henrik Christian of Denmark, and stars Emma Hamilton and Ryan O’Kane. Also coming to Ten is Shine Australia’s telepic Brock (working title), which will dramatise the life of Australian motor-racing champion Peter Brock, a complex man plagued by self-doubt who died when his car crashed during a rally in Western Australia in 2006. ABC’s Sklan is enthused about Endemol Australia’s upcoming six-hour series The Beautiful Lie, a contemporary reimagining of Leo Tolstoy’s classic novel Anna Karenina. The sprawling saga of adultery, scandal, manners and mayhem involving three enmeshed families across three generations stars Sarah Snook, Benedict Samuel, Rodger Corser, Celia Pacquola, Daniel Henshall, Sophie Lowe, Alexander England, Catherine McClements, Dan Wyllie and Gina Riley. The exec feels vindicated by her decision to greenlight Glitch and Hiding, viewing both as groundbreaking for Australian TV. “It’s extremely important for the national public broadcaster to showcase a mix of a dramas and to support a diverse quality slate of stories, storytellers, styles and genres,” she says. “Every commission is risky; it’s a leap into the unknown. There are no safe shows. Sometimes they defy expectations; sometimes everything coheres and the show is better than the individual parts. “Hiding was a bold hybrid genre of crime and family drama that explored the everyday parental challenges of raising teenagers but in a high-stakes world. 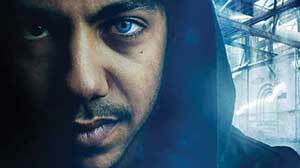 Glitch was the first Australian paranormal drama series. 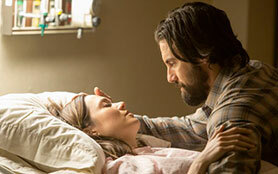 “We took an additional risk for Glitch with our binge strategy on iview, which audiences responded to very positively. In fact, Glitch has become the most popular iview title so far this year, recording more than one million plays to date. Consolidated national figures plus iview make a huge difference and better represent the way people choose to enjoy drama anywhere and anytime. Drama is consistently iview’s most popular genre. Playmaker Media co-founder David Taylor says the brief for Hiding was to attract a younger audience to the ABC. The show ranked as the number one scripted series for the 16-24 demographic and second overall on the channel across all slots. Seven’s Winners & Losers, which follows the lives of a group of best friends as they deal with life’s ups and downs, drew a combined average audience of 1.56 million in 2014. This year the ratings dropped but Lyons says the “consolidated figures are really good, often hitting 900,000. 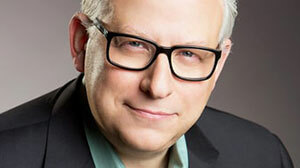 That’s a great result.” Last December the network commissioned a fifth season. Lyons was also delighted with the ratings for Seven Productions’ Winter, a sequel to the telemovie The Killing Field, which featured Rebecca Gibney as a detective who investigates the murder of a 23-year-old woman in a fishing town south of Sydney. One local story to feature heavily in the last year was that of Gallipoli, the First World War campaign that took place 100 years ago in April. 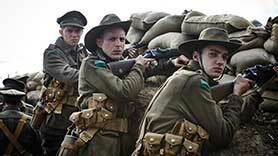 Endemol Australia’s Gallipoli, which covered the bloody eight-month battle of Australian and New Zealand troops against those from Turkey, launched with more than one million viewers on Nine but went into a steep decline. of four war correspondents, drew a consolidated average audience of 203,000 on pay TV platform Foxtel’s drama channel Showcase. That ranked as the third largest consolidated audience ever in the channel’s history, trailing Game of Thrones and Screentime’s 2011 Australian miniseries Cloudstreet. Those ratings marked Deadline Gallopoli out as one of the best-performing local dramas on pay TV, alongside the third season of FremantleMedia Australia’s prison drama Wentworth (on Foxtel’s SoHo) and Banished, a coproduction between Jimmy McGovern and Sita Williams’ RSJ Films and See Saw Films that aired on BBC First. Banished, co-commissioned with the UK’s BBC2, marked the debut local production for BBC First. It chronicled the lives, loves, relationships and battle for survival in penal colony Sydney and starred David Wenham, Russell Tovey, Myanna Buring, Julian Rhind-Tutt and Ryan Corr. The first episode reached a gross audience of 293,000, the highest ever launch title on BBC First, according to BBC Worldwide (BBCWW). The seven episodes pulled in a cumulative gross audience of 1.8 million, the highest-rating BBC First title to date. Australia could really do with a domestic drama hit. While 2014 saw success for public broadcaster ABC with Playmaker Media’s six-part thriller The Code, 2015 has witnessed a disastrous outing for Endemol Australia’s Gallipoli and a lacklustre response to Hiding, another scripted series from the Playmaker/ABC alliance. 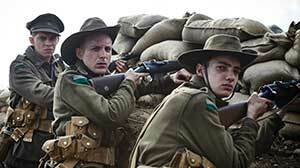 Gallipoli is a seven-part drama that ran on Nine Network in February and March. Produced to coincide with the 100th anniversary of the famous Gallipoli Campaign of the First World War, it saw its ratings slide from 1.1 million for episode one to a meagre 0.35 million for episode seven. Unfortunately, the audience didn’t bite. In February and March, Hiding was attracting around 330,000 viewers in Australian’s top five cities (a standard ratings measure from ratings panel OzTam) – having debuted with around 730,000 for its opening episode. While this was similar in scale to Fortitude (also airing on ABC), it was around half the audience pulled in by UK crime series Broadchurch (634,000 on ABC). Even further ahead were Grantchester and Downton Abbey (both ABC), underlining the fact that UK and US imports both tend to outperform domestic drama. There’s another angle to this debate worth noting: ABC, the main investor in original Australian drama, has an ageing audience, with a median viewer age of 63. What it would like to do is use its drama budget to bring this age down (hence Hiding). But the existing audience is perfectly content with the likes of Downton Abbey. This age issue created a conundrum for ABC regarding Mrs Fisher’s Murder Mysteries, a beautifully crafted period drama that attracted audiences of around one million in its first two series. Despite the high ratings, the show attracts an older audience – so ABC decided not to commission a third series last year. 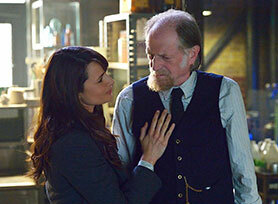 However, viewer outcry forced a change of heart, and a third run begins this week. For ABC it will be a mixed blessing if the show draws barnstorming ratings because it will run counter to the bigger ambition of bringing the network age down (though All3Media International will be happy because it sells the show to international markets). It’s not obvious where the next Aussie hit will come from, but at least there is one quality drama to look forward to. 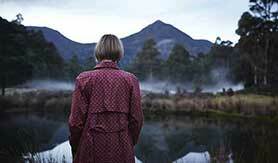 Coming soon to ABC is The Secret River, a two-part series based on the novel by Kate Grenville. It follows the story of young couple, William and Sal Thornhill, who are transported to the new colony of New South Wales in 1805. The show will explore the colonisation of Australia and the escalating conflict between the Indigenous inhabitants and the newly arrived white convicts and settlers. Also in the UK, the big drama ratings story of the week was the launch of Paul Abbott’s provocative police procedural No Offence on Channel 4. With an opening episode rating of 2.5 million, the show was well ahead of the slot average (1.5 million) and marginally ahead of the debut audience for Shameless (2.3 million), Abbot’s biggest hit to date. Given the success of Shameless (which spawned 11 series in the UK and gave birth to a successful US remake on Showtime), C4 will be hoping No Offence has the same staying power. As we’ve noted in other columns, this time of year is also important for US networks in terms of renewals, cancellations and the decision to take shows from pilot to series. We’ll look at this subject again on Monday in our Greenlight column. For now, though, congratulations to Nashville, which has just secured a fourth season on ABC. With consolidated ratings in the 6.5-7 million range, the show is not a standout performer, but it does have two things on its side: firstly, it’s extremely popular with women aged 18 to 49; secondly, it’s reached the tipping point in terms of appealing to the lucrative US syndication market. The general rule is that scripted shows that get to four seasons have enough episodes (85-100) to be attractive to syndication. So it is virtually unheard of for shows to be cancelled after three seasons. However, the issue might not be so clear-cut next year – ABC’s Revenge has just been cancelled after four seasons. So May 2016 is more likely to be the moment of truth for Nashville.